True Primal Way of Eating pays off. 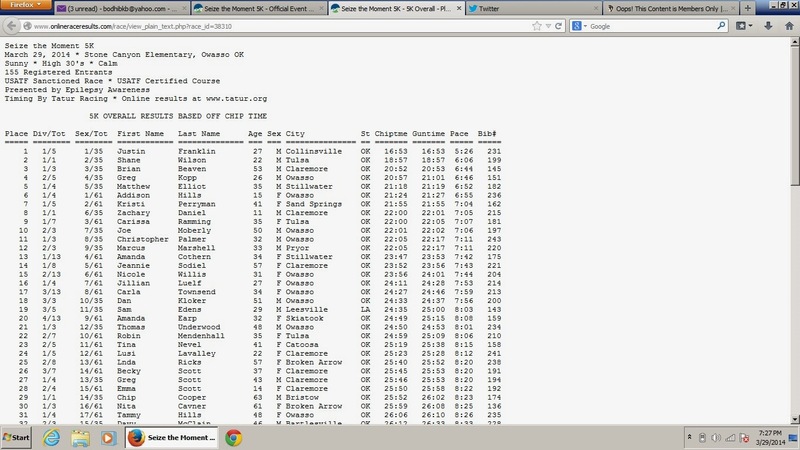 I ran a 5k race today. I shaved almost a full minute from my time last year. I contribute the improvement to my diet. 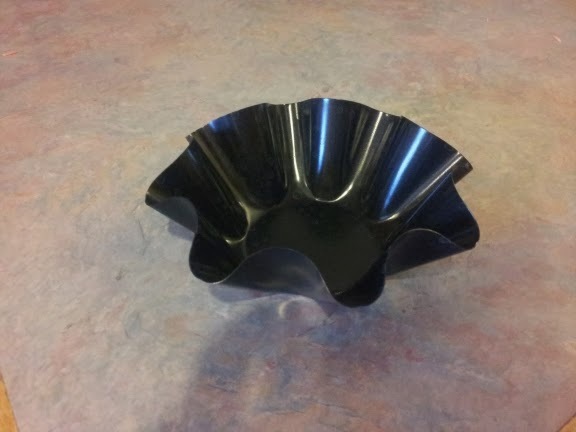 I've finely tune my paleo/primal diet into what I called the True Primal Way of Eating. Here are my results from last year and this year. This is last years results. Gun time was 24:02 and chip time was 23:49. My pace was 7:40 per mile. My data from this year. Gun time was 20:53 and chip time was 20:52. My pace was 6:44 per mile. 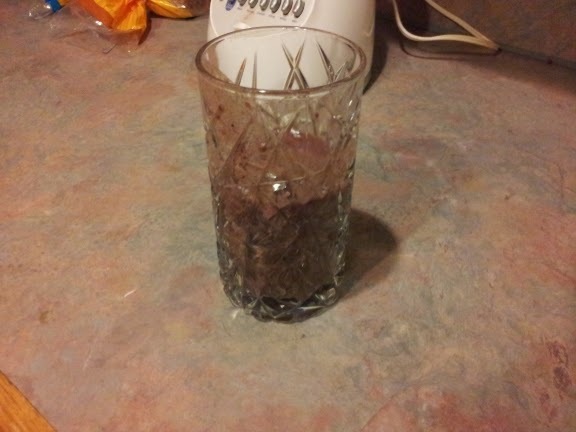 The smoothie had a banana, greens, berries, greens powder, and protein powder. The first meal leftover sweet potato. It was a golden jewel sweet potato. 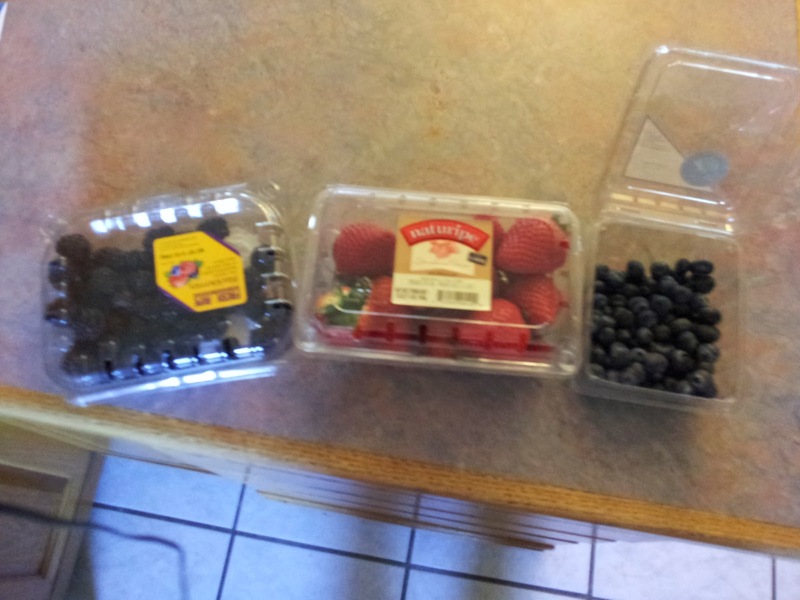 I had a few of each of these berries. 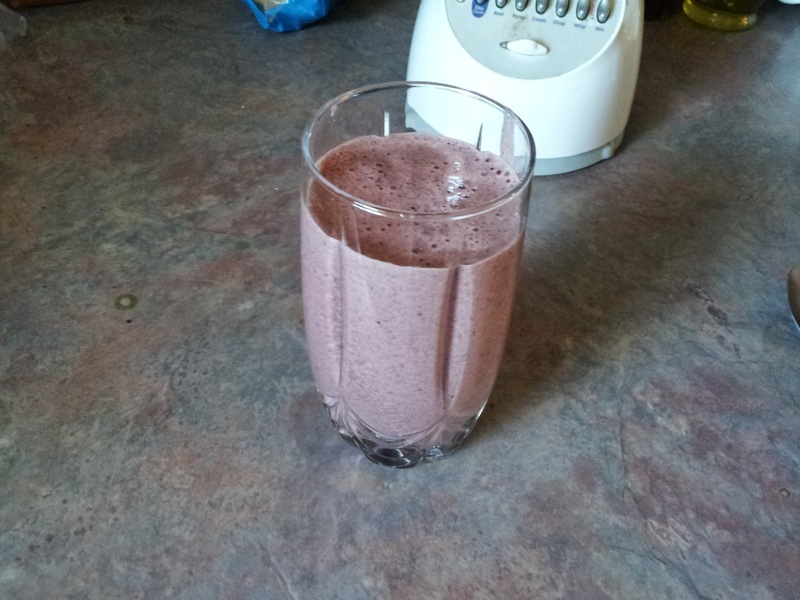 About 1/3 cup of blueberries, 8 blackberries, and 3 strawberries. 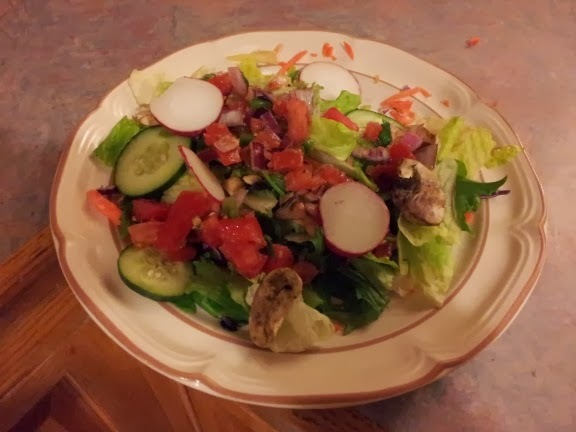 The salad of the second meal. I took a picture before I added the radishes and mushrooms. 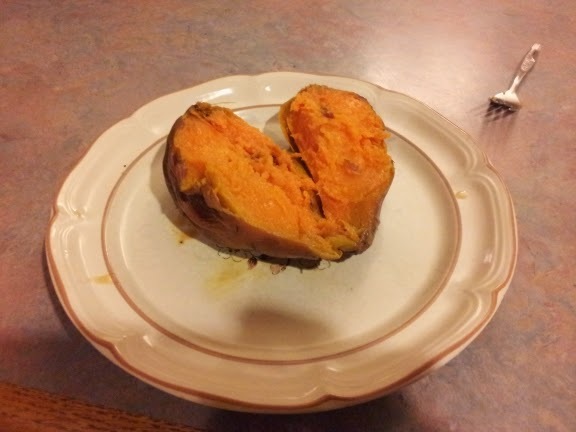 The second meal sweet potato. 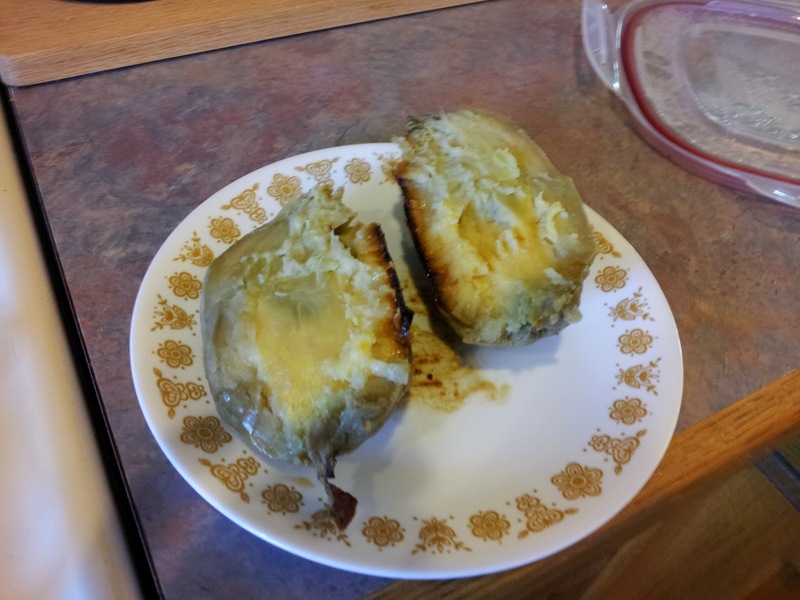 It was a purple sweet potato. 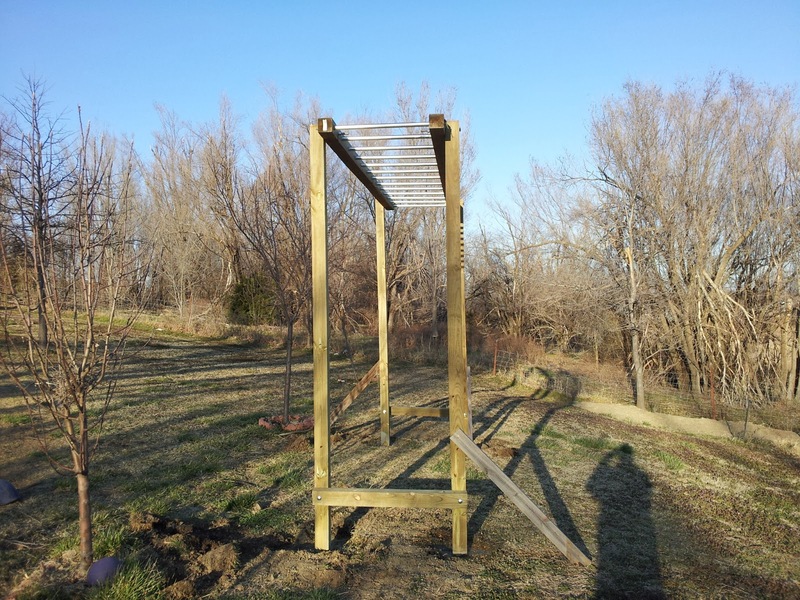 The monkey bars are complete. Well almost. The cement is still drying out. Today I weighed in at 168lbs. The Omron device gave my body fat at 11%. Yesterday I did one 30minute exercise session. 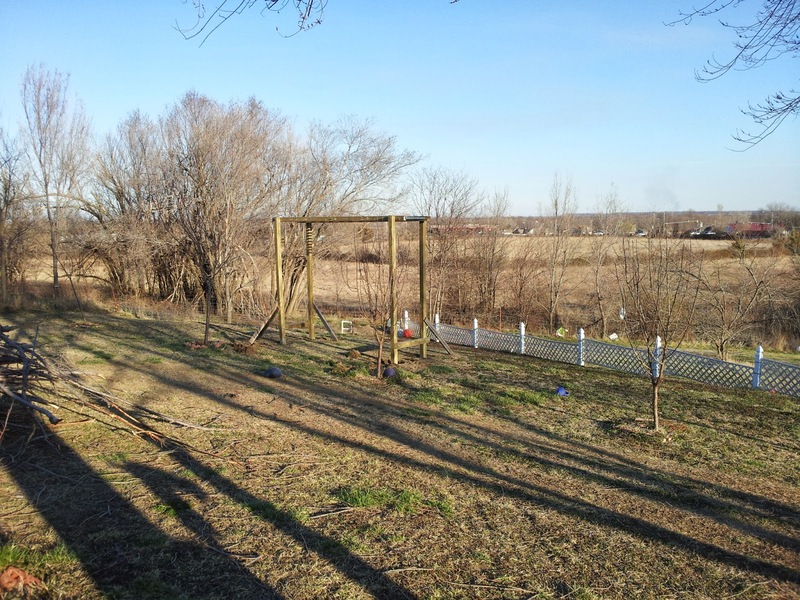 I worked on building the monkey bars. Here's what I had to eat yesterday. I had coffee, tea, water, and flavored club soda to drink. 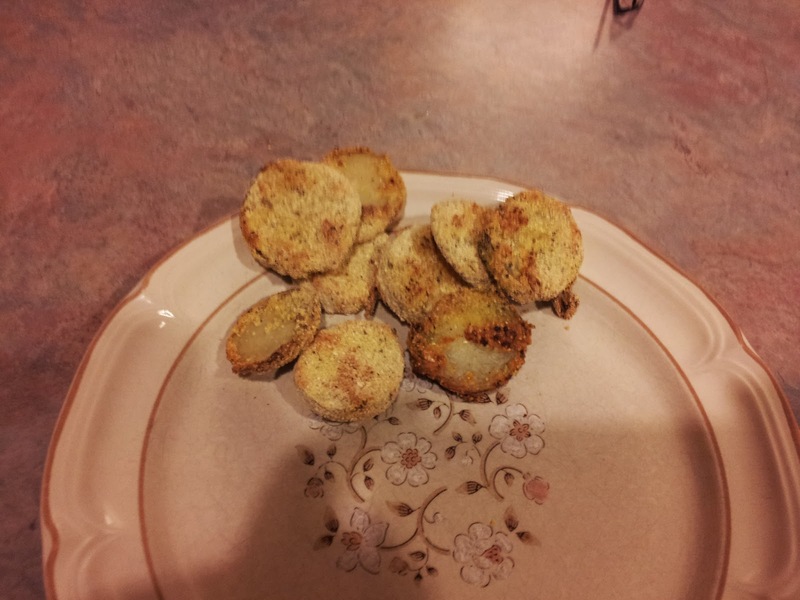 These are boiled potatoes that have been coated with egg whites and rolled in corn meal with some of Mrs. Dash seasoning. I dipped them in ketchup too. 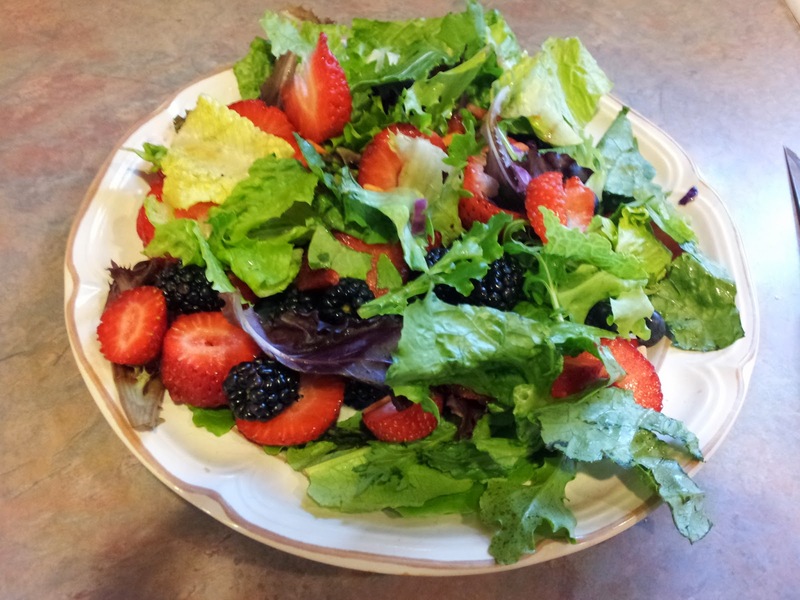 The salad with berries. Lots of berries. 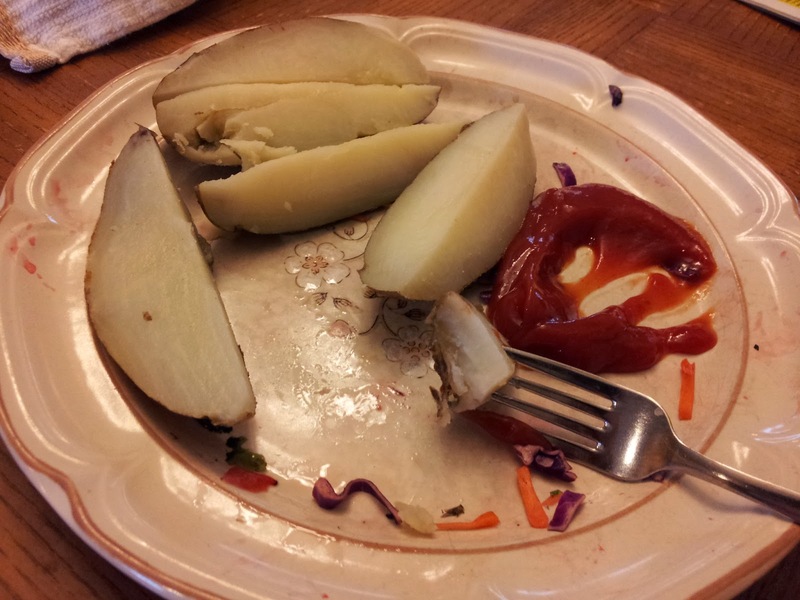 Cold boiled potatoes with ketchup. 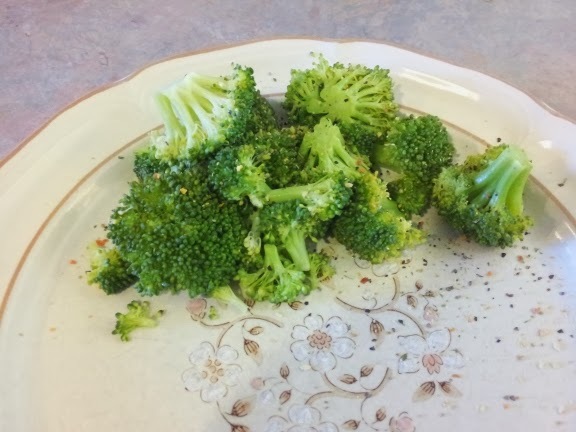 The second salad of the day. 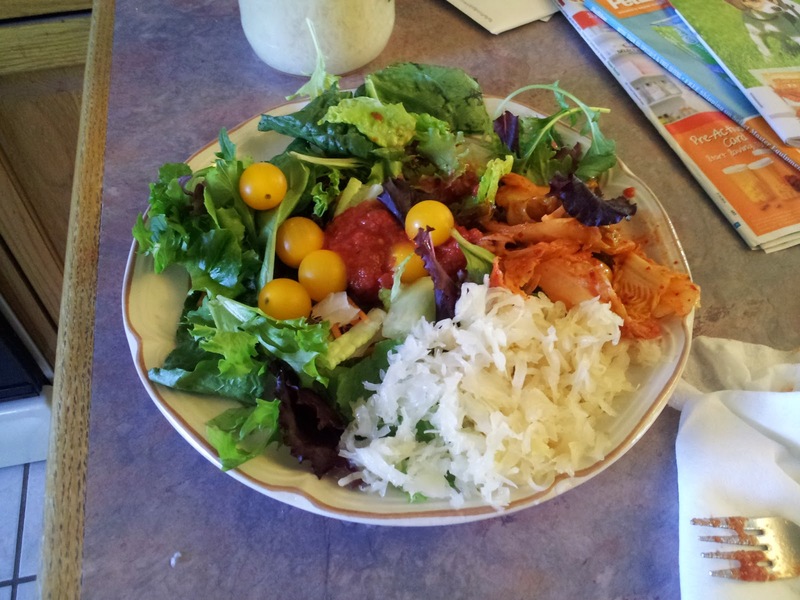 Kim chi and sour kraut to get probiotics and cruciferus veggies in the diet. 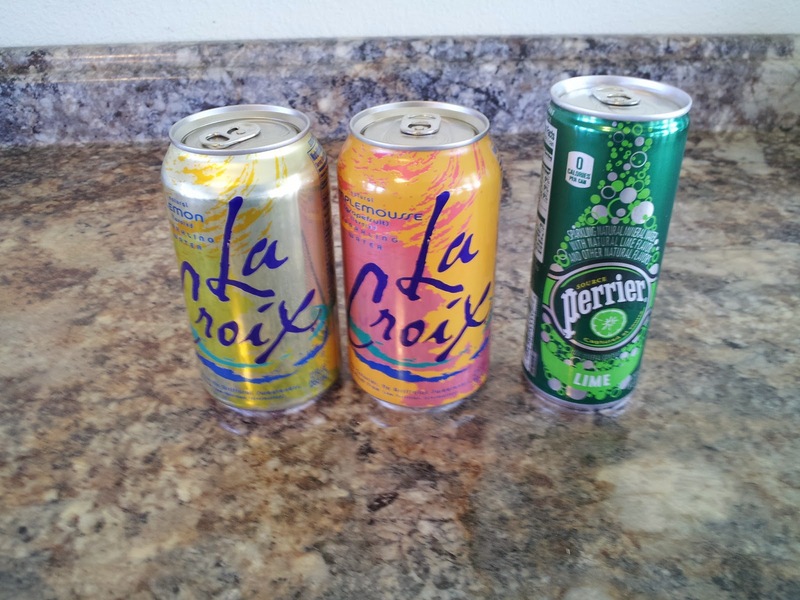 These are the flavored club sodas that I had yesterday. I like the taste of them. I usually make my own flavored club soda. It is much cheaper that way. I take club soda and add some freshly squeezed lime, lemon, grapefruit, or orange juice to the soda. It needs to be freshly squeezed and just enough to flavor the soda. 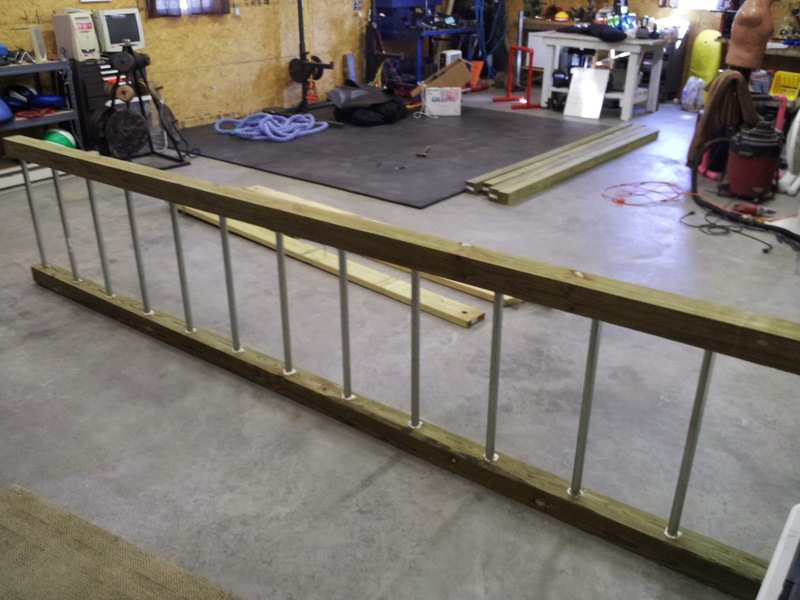 Monkey bar set is almost complete. 9 feet tall and 12.5 feet in length. It has 13 rungs. I missed a couple of days there posting. St. Patty's day and all. I weighed 170lbs on Tuesday. I'm 171lbs today. I had a lot of sodium yesterday with sour kraut, pickles, and kim chi. 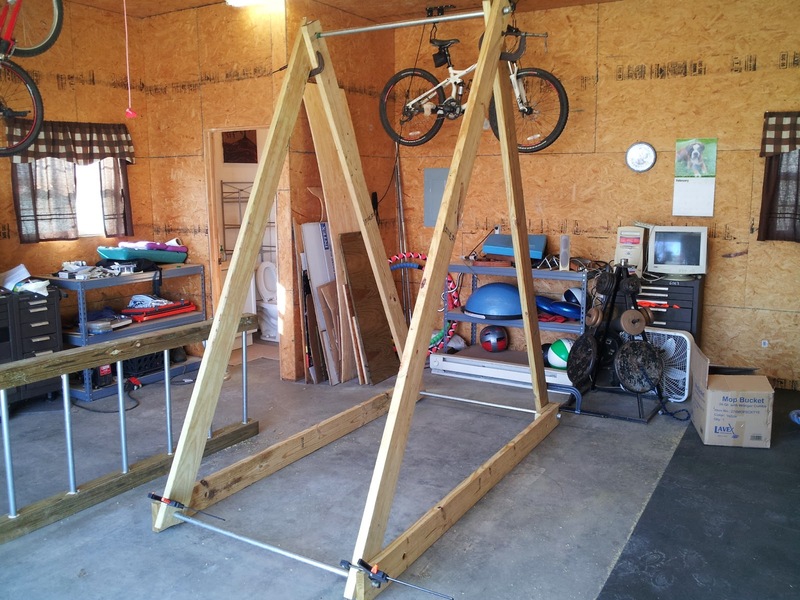 I've been working out in the shop building some exercise equipment. 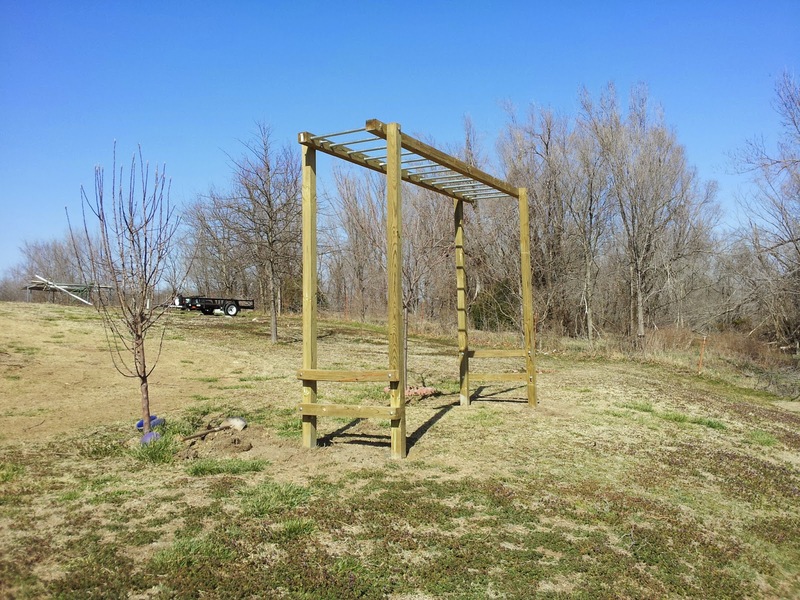 I'm working on a semi-portable pull-up bar and a stationary monkey bar set for my yard. 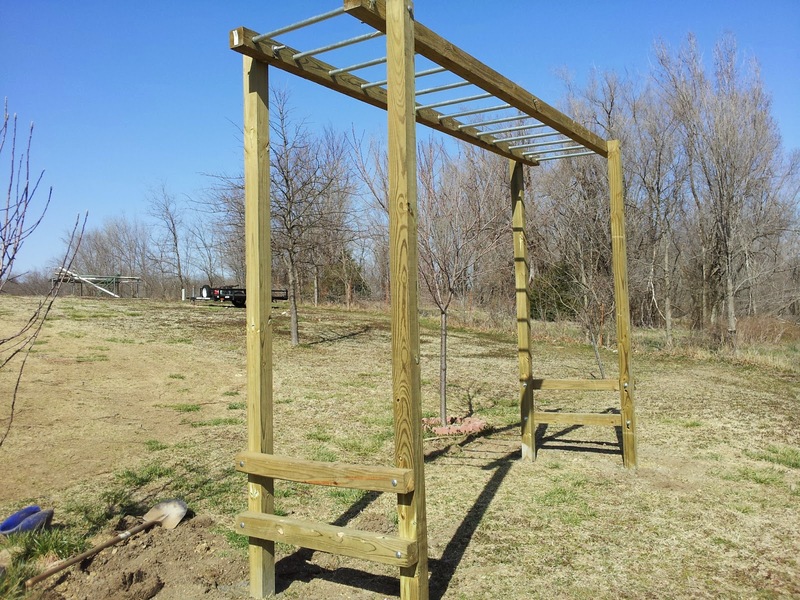 Portable pull-up bar. It is still under design mode. The idea I got online was just too flimsy. So I'm beefing it up. Today I weighed 170lbs that is back down 1.5lbs from Yesterday. 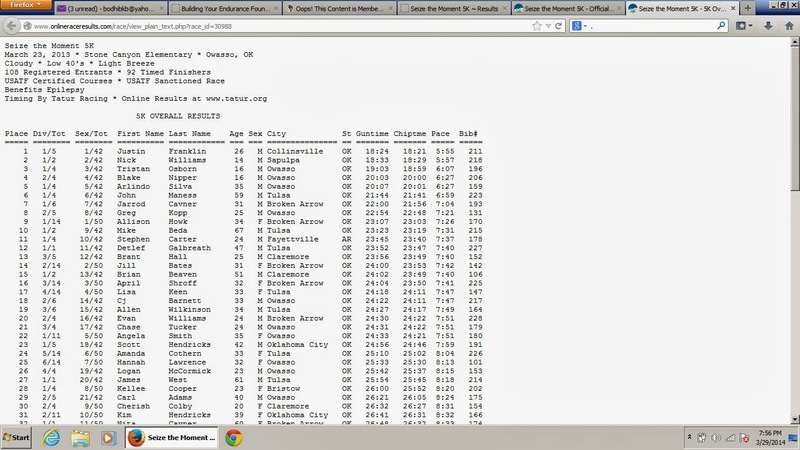 I ran yesterday and I did the Catoosa Fitness Class last night. I set a new record for myself on the run yesterday. I finally ran at under an 8 minute per mile rate. I ran almost 5 miles. Here's my run from yesterday as reported by Runkeeper. 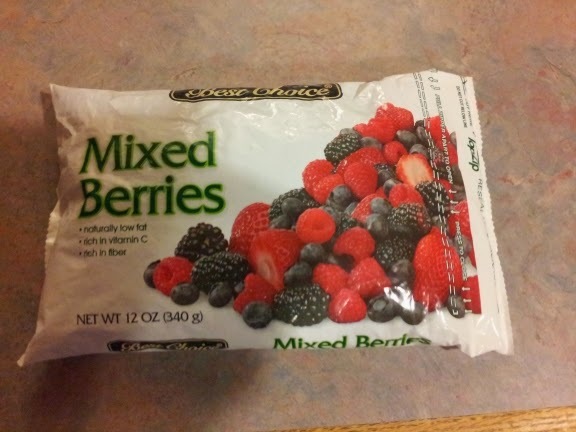 These are the berries I use for my smoothie. The glass was almost full. 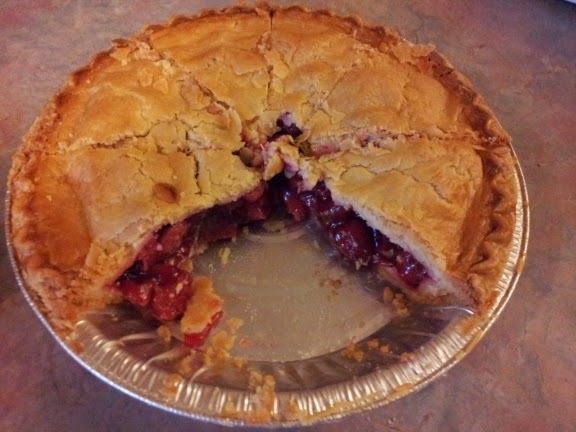 This was the incredible cherry pie one of my clients brought me. Its a good thing the place that makes these pies is out of state. 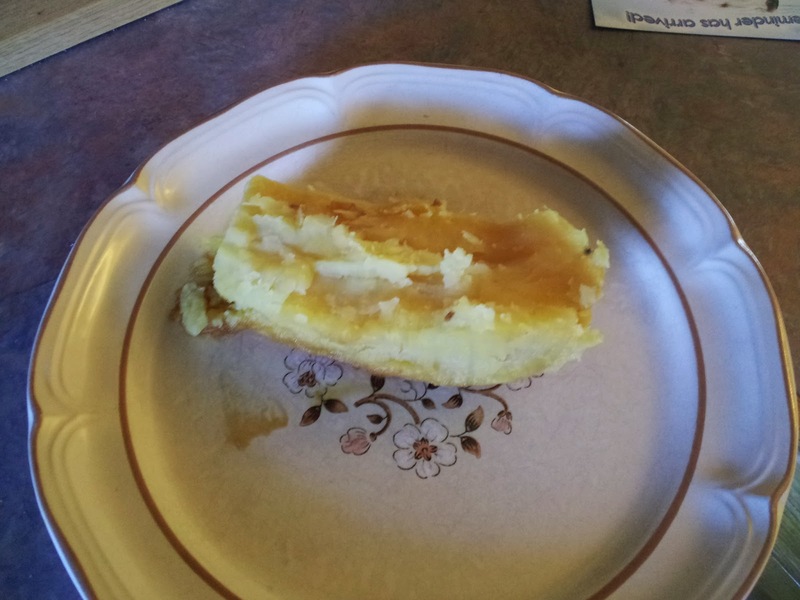 I wonder if eating this pie is what caused my weight to go back down? Today I weighed 171.5. Which is up .5 lbs from yesterday. But my body fat percentage is down to 12.3%. 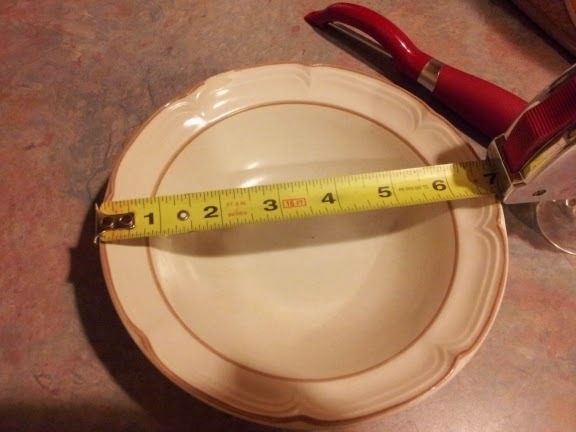 My waist size is down .25 inches. 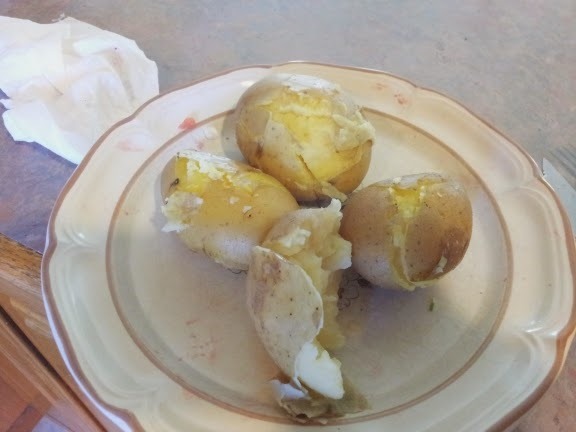 3 1/2 Yukon gold boiled potatoes with ketchup. 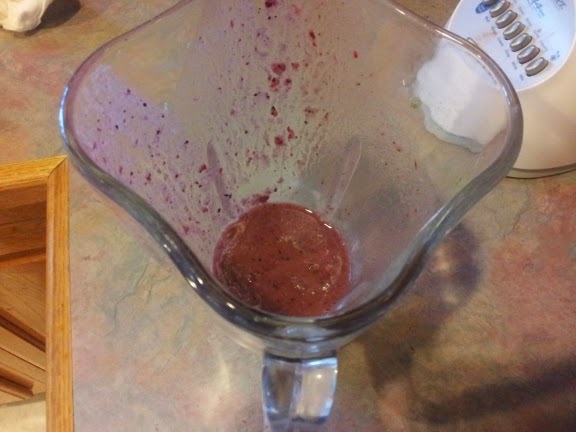 The first meal of the day was a greens and mixed berry smoothie with a sweet potato. 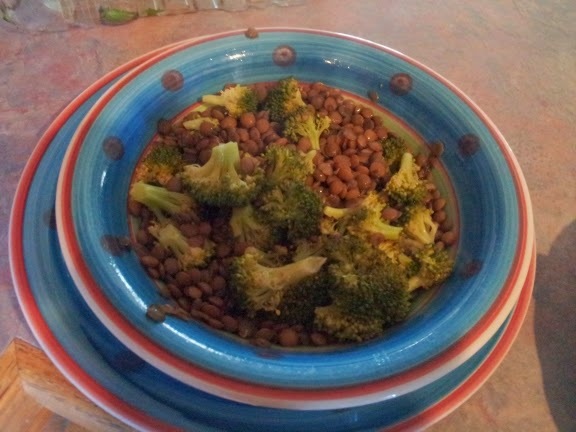 The second meal was the lentils with broccoli. The salad that went with the second meal. 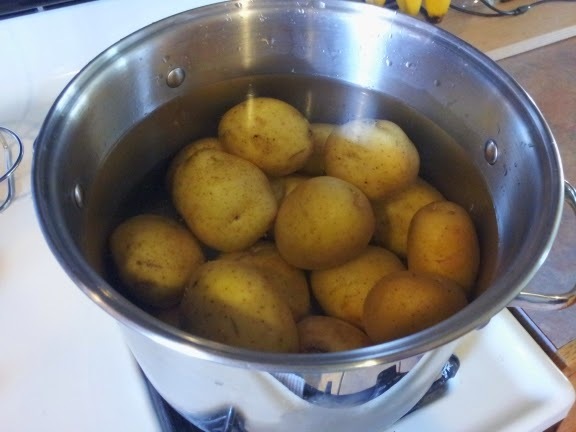 5 pounds of Yukon Golds in the pot. The helpless victims of the third meal of the day. The spinach salad at the third meal. 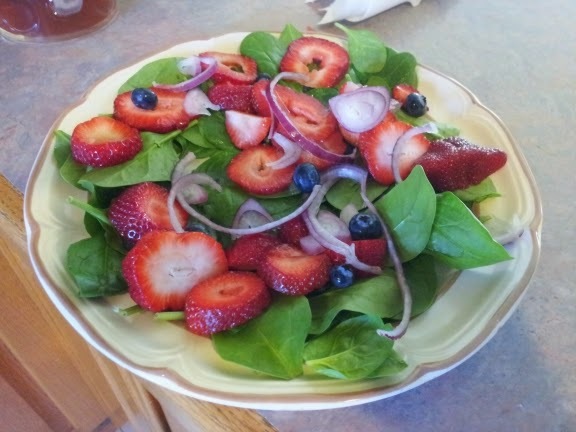 Strawberries, blueberries, and purple onion. 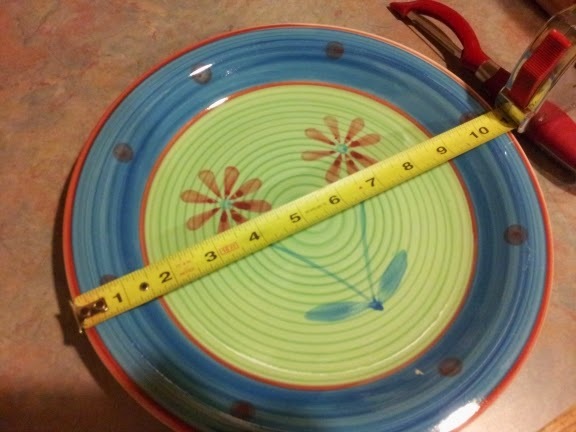 The 11" dinner plate. This should give you an ideal of the amount of food I'm eating. I was back up to 171lbs this morning which is .5lbs from yesterday. 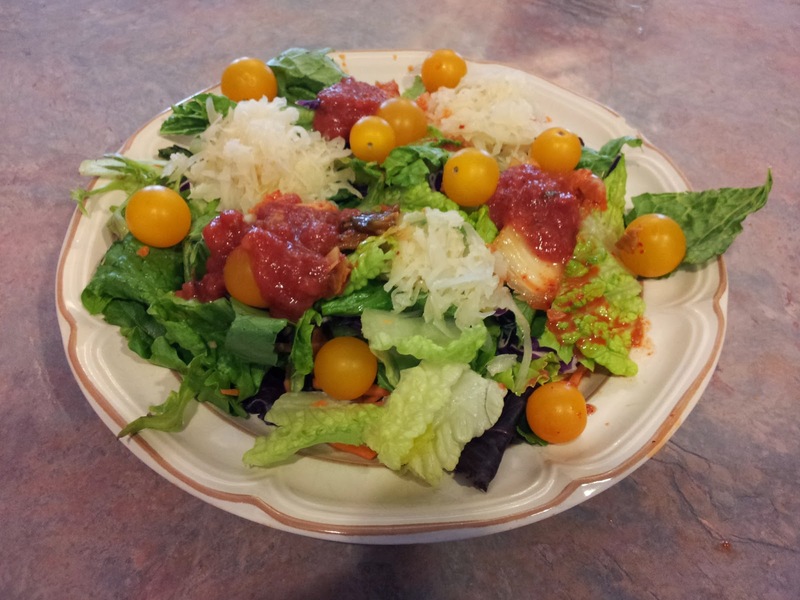 I bought some processed foods at Reasor's and played around with them yesterday. I did two exercise sessions yesterday. 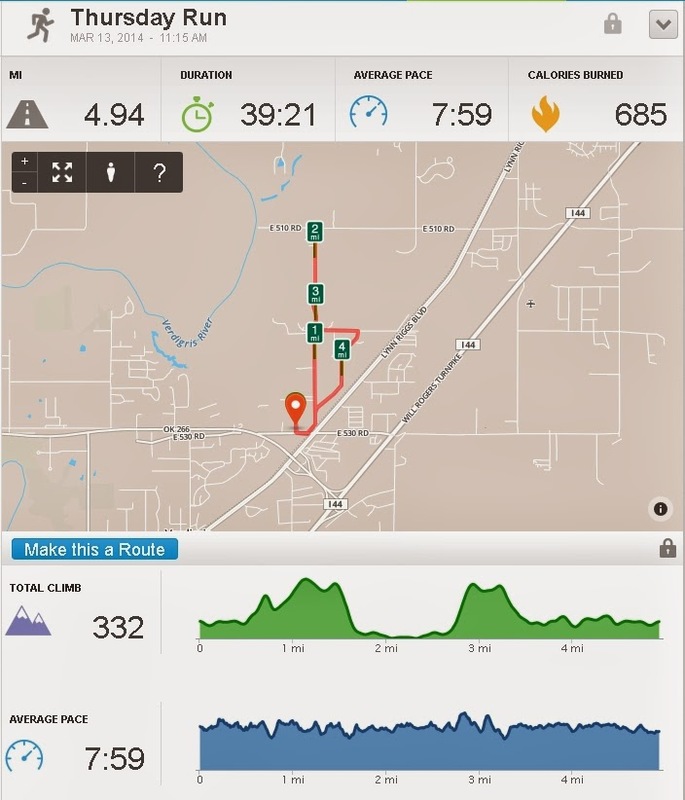 I ran 4.39 miles yesterday at a average pace of 8:24 min/mi and a climb of 338 feet. I also did the Catoosa fitness class last night. 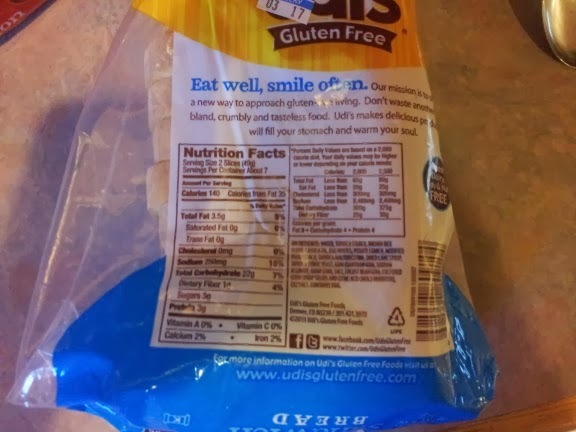 I bought several different types of gluten free breads from Reasor's yesterday. They were all produced by Udi's. I bought their original, Millet with Chia seed, and their raisin bread. They all taste good. They may not be really great for you but they are a better choice than something with gluten. The interesting thing was there different ingredients and macro-nutrient content. 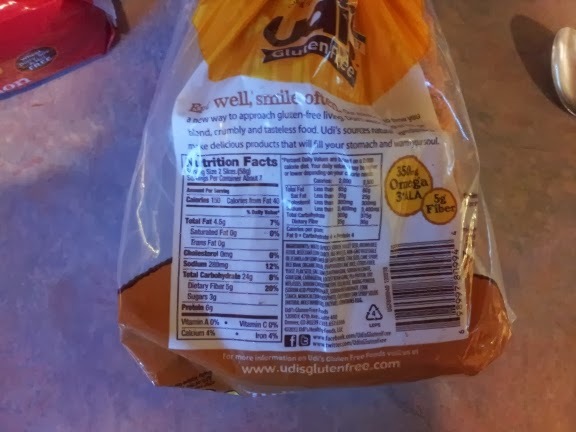 The labels on the bread that I bought is slightly different than the labels on their web site. Interesting. I know they sold a part of their company a little while back but I'm not clear on the details of the sale. 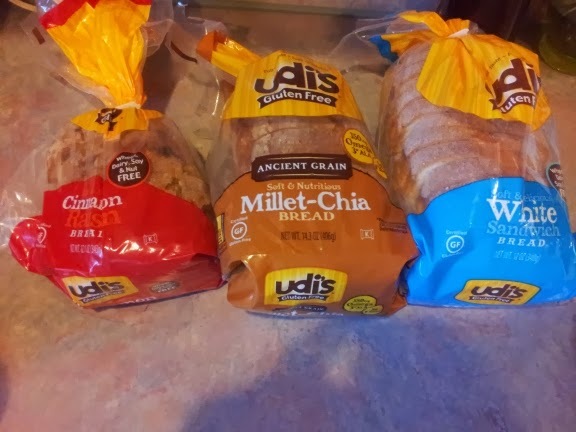 Here are the breads I bought yesterday. This is the label from the store. Click labels to zoom in on them. This is the millet with chia label from the one I bought at Reasor's. The Millet label from Udi's web site. My raisin bread label. 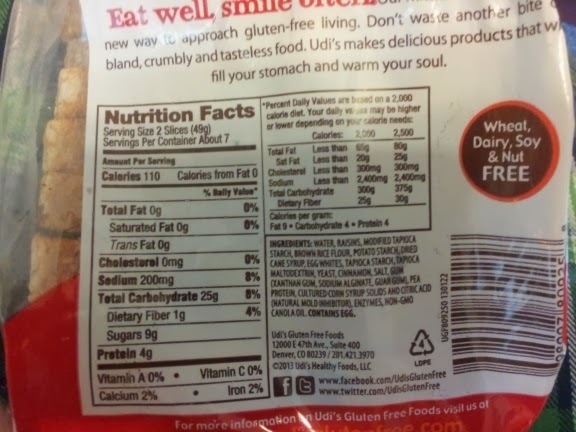 Notice: It says 0 grams of fat and only 110 calories, no percentage of calories coming from fat. 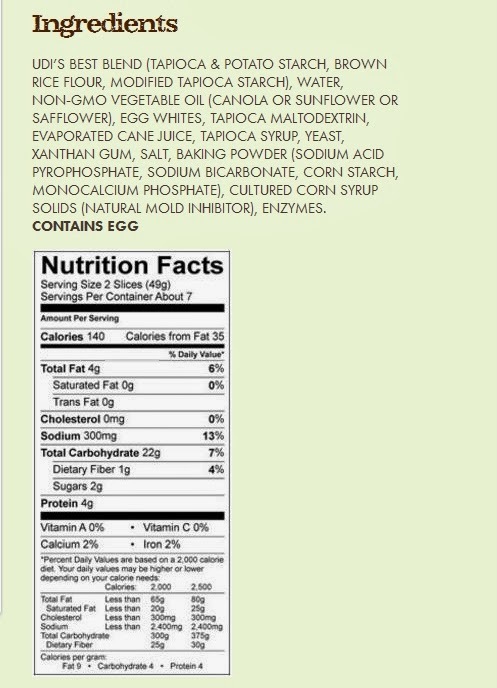 Here's the label for raisin bread from their web site, Notice: it reads 3 grams of fat and 140 calories. 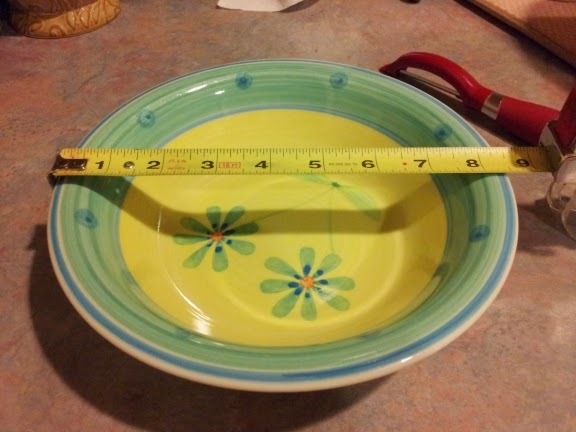 It has 25 calories coming from fat. That makes this product almost 18% fat. Nothing to freak out about, unless you are trying to control your fat intake. 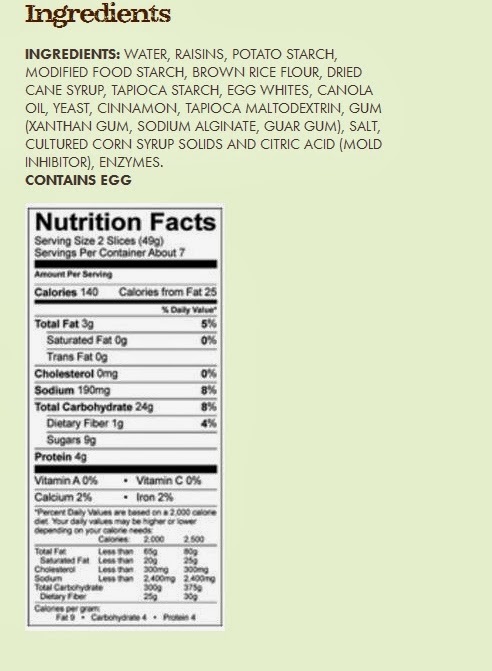 If you click on the labels you can zoom in and see the differences in the ingredients. Small differences, some of the ingredients are listed in different order. 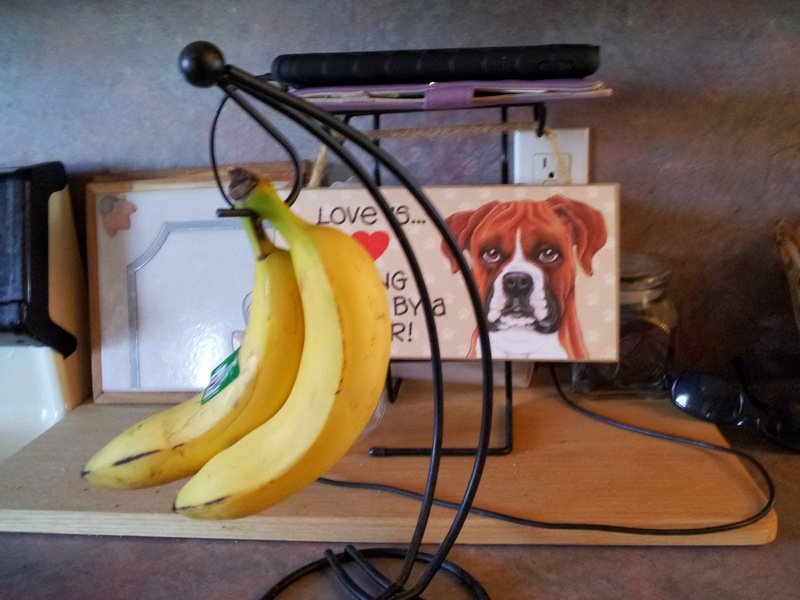 Here' something else I bought and played with in the kitchen. 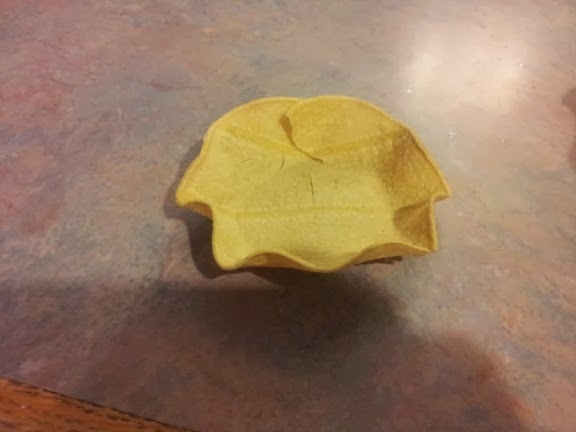 My shell didn't come out perfect. I bought the shells with the lowest amount of fat in them. 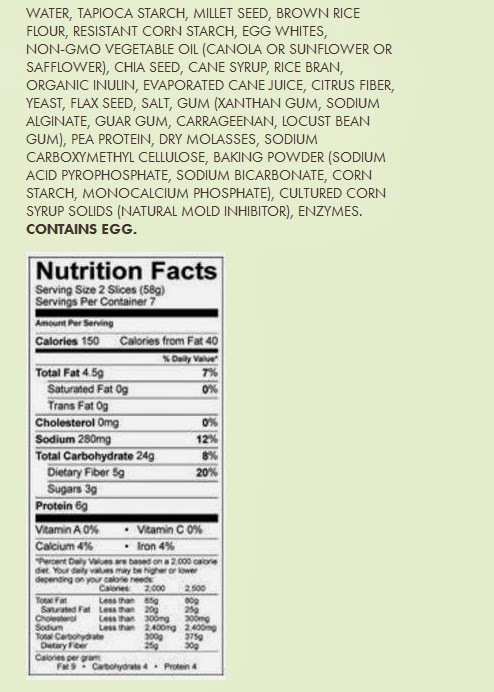 Please read labels to find out what is in the products you are buying. Reasor's had 3 different shells that I looked at and each one was a little different. I'll have to make a trip to Whole Foods or Sprouts and see what they have. I'm guessing they will have more selection with even more diverse ingredients. 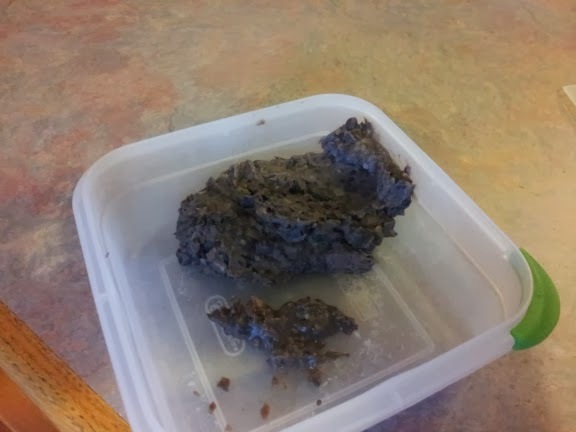 I rinsed some canned black beans and mashed them up into a dip. I had salsa with the chips too. It was yummy and I probably ate more of it than I should have. 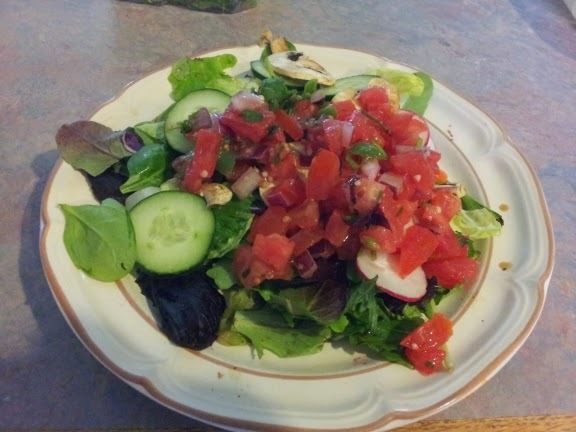 I also had salad, berries, 2 small apples, a pear, 4 tangerines, a sweet potato, and some legumes yesterday. We finished up the 8 week Primal Transformation session on Saturday. The group lost almost 200lbs. It was an average of 8.25lbs per person. One lady lost 40lbs on the program and one gentleman lost 22lbs. We started our next session but its not too late to get in. I'm down another half pound. I weighed 170.5lbs this morning. The Omron handheld device gave my Body Fat as 13%. I didn't do any exercise yesterday. I demonstrated the exercises for the class and that was about it. 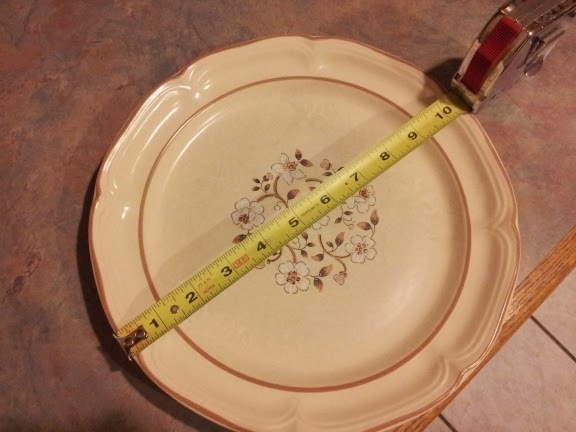 If you are having trouble losing fat. I think this would be a good ideal for you to try. 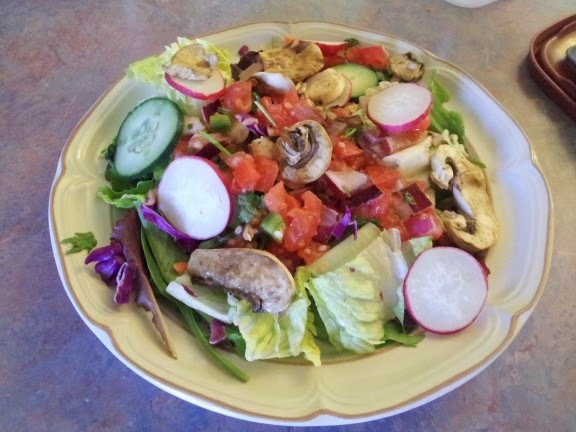 We are what we digest and assimilate, not just what we eat. We are also what our gut flora excrete. Think about it. 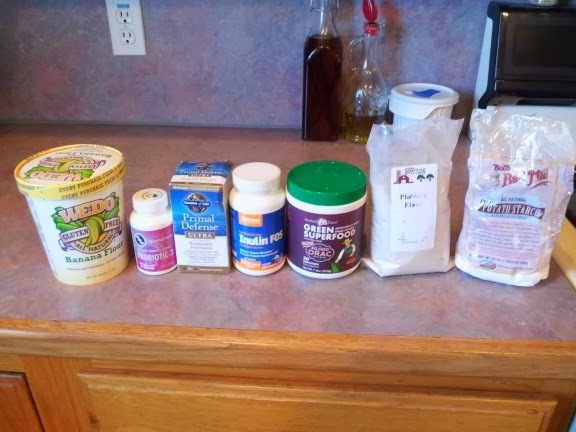 Here are the products for the protocol to populate and feed your gut flora. I'm still waiting on my Prescipt-Assist Broad Spectrum Probiotic Prebiotic Complex from Safer Medical Inc.
Probiotic 3 contains three strains of bacteria: Streptococcus faecalis‚ Clostridium butyricum and Bacillus mesentericus. S. faecalis is naturally found in the gastrointestinal tract and is helpful in preventing the growth of harmful bacteria. C. butyricum is also a natural part of the microflora‚ and breaks down dietary fiber that is otherwise indigestible. This breakdown produces several nutrients‚ including ones that are used by human cells in the digestive tract‚ and that reduce inflammation and that reduce inflammation and intestinal permeability. B. mesentericus upports the growth of the other two bacteria as well as the beneficial bacterial strain Bifidobacterium. A healthy microflora is essential for the optimal health of the gastrointestinal tract. 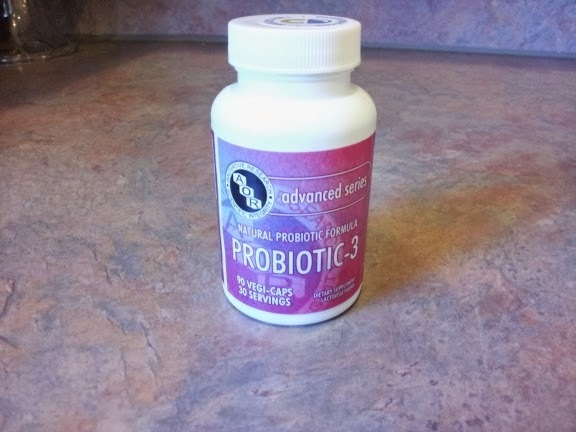 Probiotic 3 provides a room temperature-stable formula of three strains to enhance the microflora while blocking the growth of pathogenic bacteria. ProBiotic 3 contains Bio-Three®‚ a combination of probiotics clinically studied and used i Japan for over 50 years. Probiotics are healthy microorganisms that support the natural and beneficial bacteria found in the human body. These bacteria‚ known a sthe human microflora‚ are important for many biological functions including the maturation of the immune system‚ the regulation of the inflammatory response‚ and the optimal health of the gastrointestinal tract. Primal Defense by Garden of Life. 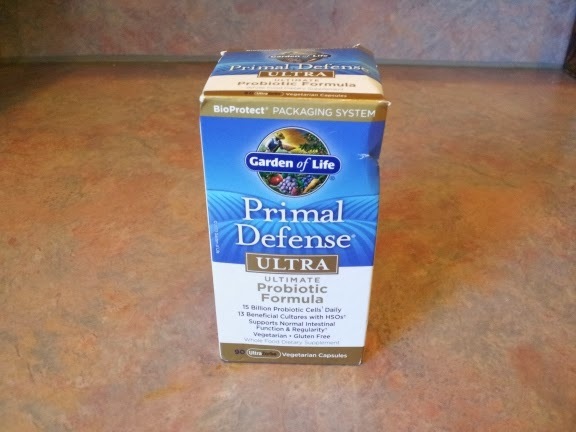 Ultra ultimate Probiotic formula. 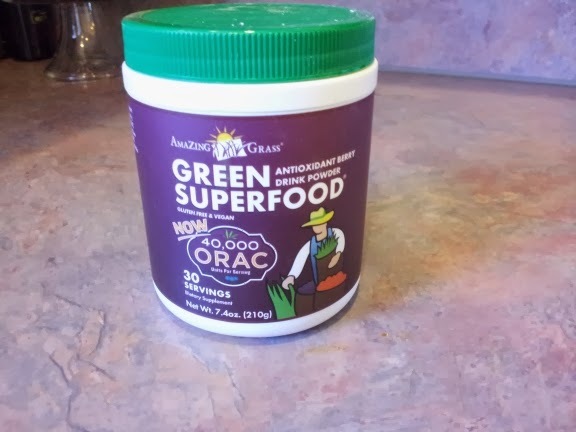 Amazing grass Green Superfood with 40,000 ORAC. Our Berry Green SuperFood is a delicious drink powder infused with acai and goji berries to help you achieve your 5 to 9 daily servings of fruits and vegetables. A full spectrum of alkalizing green superfoods, antioxidant rich fruits, and support herbs unite with organic Acai and Goji berries to provide a powerful dose of whole food nutrition with a delicious berry taste. 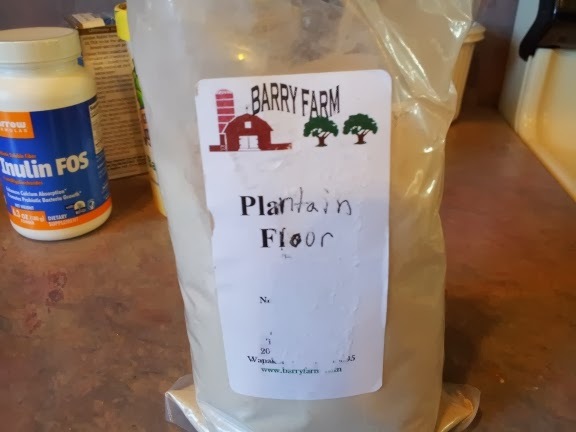 Barry Farm's Green Plantain flour to feed probiotics. 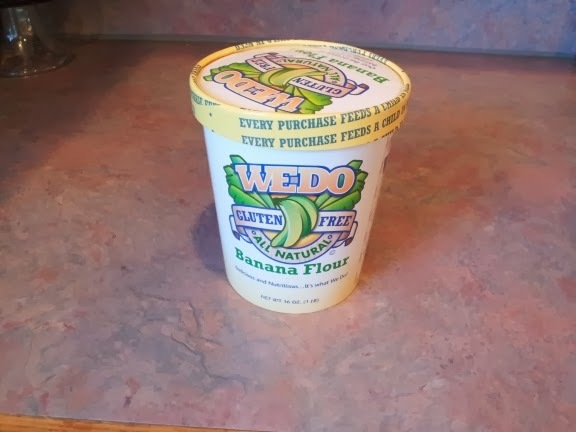 Wedo's Green Banana Flour for feeding probiotics. 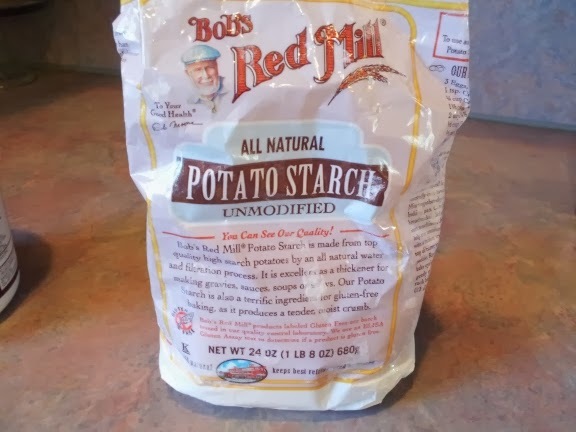 Bob's Red Mill Potato Starch to feed the little gut critters. 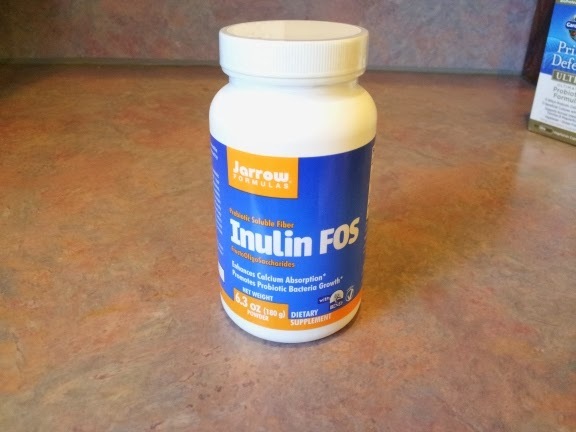 Jarrow's Inulin Fos because those little animals in our guts are hungry. Inulin and FructoOligoSaccharides (FOS) are soluble prebiotic fibers that promote gut and overall health through their fermentation by gut flora, to yield important metabolites, including lactic acid and the short chain fatty acids acetate, propionate and butyrate. These metabolites help to maintain proper pH in the gut, discourage the growth of unfriendly bacteria, reduce the absorption of toxic ammonia and positively affect bone health by increasing the bioavailability of dietary calcium. Moreover, acetate, propionate and butyrate promote the integrity of the intestinal cells lining the colon and promote healthy lipid metabolism. With a salad of course. 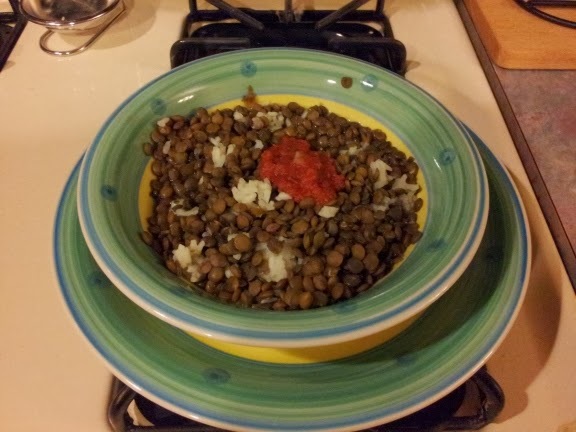 And some lentils. I had these for breakfast too. 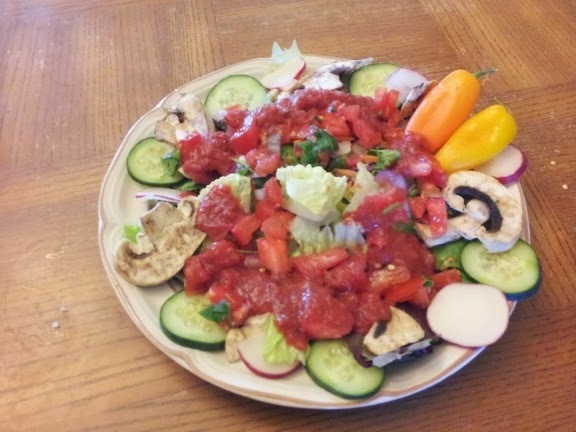 El Charro's salsa too! 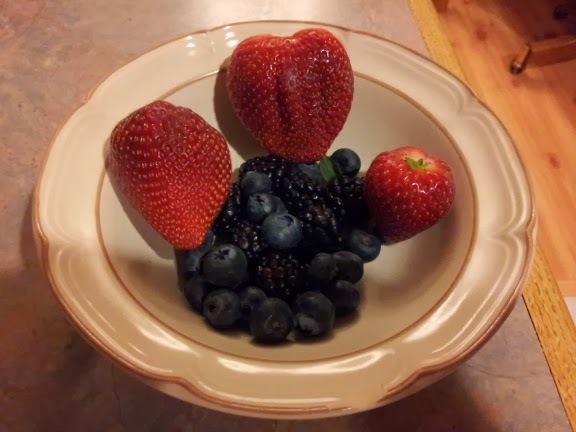 I had berries for dessert this morning.